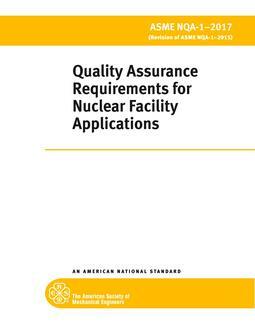 This Standard amplifies and clarifies the requirements of ASME RAM-1 for implementing a RAM program for a power-generation facility. This Standard assists in developing program goals, identifying a master equipment list (MEL) to load into the enterprise asset management system (EAMS), and populating scheduling systems with finished content as complete work orders that are ready to perform work. A RAM program includes hierarchical breakdown of the facility, tagging of equipment (i.e., components), risk categorization of systems and equipment tags, development of common standards for components, and customization for similar context locations in the plant. This Standard finalizes work organization as task lists in work orders, routes, and rounds. It provides a process to implement ASME RAM-1 based on terminology and methodology used in power plants.